Year ’round, there’s always a fabulous event taking place in the Napa Valley! Whether it’s Restaurant Month, Art Season, an exclusive wine club event, or the 2nd annual Bottle Rock Festival, Valley residents and guests can always enjoy a lavish event focused on food and wine. There is, however, only one event that’s famous in world-wide wine circles; so famous in fact, that its emulated not only for its grandeur, but also for the positive impact it has on the local community. The event shattered records in 2013, raising $16.9 Million for Napa Valley non profits. Auction Napa Valley 2014 takes place June 5-7…. Of course I’m referring to Wine Auction Napa Valley. It’s always the event of the season, and because it’s a multi-day event with many lavish parties, there are many reasons to be here to partake in the splendor. To start with — the Duncan Family of Silver Oak and Twomey Cellars, and the Gargiulo Family of Gargiulo Vineyards, are serving as Event Chairs, so you can be sure this year’s festivities will reflect exemplary taste yet again! 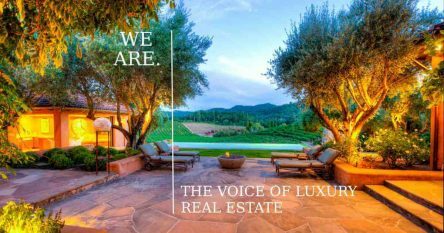 For more than 30 years, Auction Napa Valley has been THE significant community fundraiser, dedicated to enhancing the health and well-being of valley residents. By drawing on the valley’s reputation for legendary wine and scenic beauty, this event has raised more than $120 Million. Below is the schedule, and the scoop on how you can get your hands on tickets now, before they sell out. And they always do! The casual camaraderie for which Napa Valley vintners are known will shine through these festive events welcoming you to Auction weekend. New this year will be the collaborative connection of wineries to host Sweet Home Napa Valley parties showcasing Napa Valley’s relaxed, down-to-earth side. Mix and mingle inside the newly renovated, historic Redwood Cellar with 100 Napa Valley winemakers, taste coveted wine samples directly from the barrel and be part of the spirited bidding on these limited offering wines. The top ten bidders on each lot will secure a future release case of the wine they discovered and can now call their own. Outside on the tree-shaded grounds, the Marketplace extravaganza features dozens of wineries pouring their current release wines served alongside treats from the region’s most acclaimed restaurants and food purveyors. This is also your chance to preview the extraordinary lots that will be offered in the Live Auction on Saturday. Enjoy an intimate and one-of-a kind dinner with vintners as they open their homes and wineries to you. Each event is a work of art in design, culinary expression and, of course, very special wines pulled from deep within the cellar. Then it’s on to the big top for the big show, with the thrill of bidding on the only-in-your-dreams-until-now lots of Napa Valley wine and wine-related experiences, while sipping wines with the people who make them. As the bidding ends and the evening begins, guests enjoy dinner prepared by Meadowood’s Chef Christopher Kostow, and of course dancing under the stars. 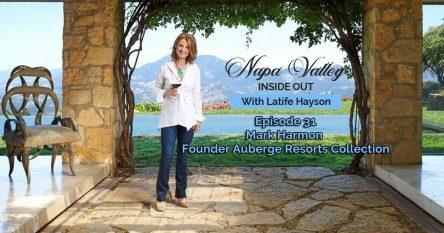 Don’t wait because Auction Napa Valley tickets always sell out! Join me this June! Let’s raise a glass, and funds for important agencies in Napa that surely appreciate our support!